Customer experience. It’s no longer a nice-to-have. It’s a must-do to survive and thrive. Whether you feel your customer experience design strategy involves too much chance, you’ve outgrown your current customer experience or you recognize the need to take it to the next level, our customer experience design team can help. Our design thinking approach puts customers at the core of customer experience management, helping you listen in new ways to gain new insights that help you map remarkable customer journeys. Creating an authentic customer experience is a bit like heading out on a hike. You have a destination in mind. We’ll bring the compass and map. We can travel this uncharted customer territory together. Here’s a look at the landscape ahead: Customers are hoping to experience your brand in a unique way. They want consistent yet personalized experiences at every turn. These customer expectations provide an opportunity to learn about your actual customers’ journeys and identify opportunities to replace ordinary experiences with extraordinary experiences. While the terrain may change, the landscape itself remains the same. Customers expect your organization will be easy to do business with, your products will work as expected, your services will be seamless and they’ll be delighted by their interactions with you. If you’re ready to take a journey through that landscape, we’re ready to travel with you. Customer experience leaders aren’t born. They’re built. Creating an exceptional customer experience requires emotional intelligence to listen and hear what your customers want and need, creativity to iterate new solutions, knowledge of how to get it done and discipline to continuously improve. When working on customer experience design projects, we work with your team to develop a deep understanding of your customer touchpoints and users’ interactions with them. We help you develop these insights by ‘listening’ to your customers in a variety of different ways. Interviews, focus groups, customer engagement surveys, visit pathways, heat mapping and social media monitoring are among the tools we use. Dashboards help you visualize changes in customer experience and satisfaction and identify exceptional and underperforming touchpoints. 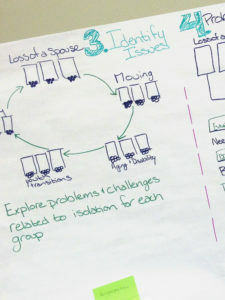 Empathy maps aid your team and organization in understanding the unique needs of specific customers. By mapping these needs, teams can better anticipate how customers might respond to changes or enhancements in an experience or identify opportunities to personalize an experience. 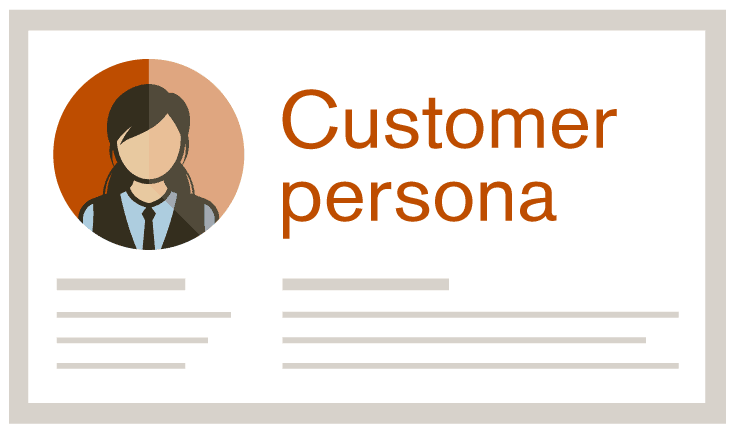 Customer personas provide detailed portraits of key customer types, helping you visualize the very customers who will be interacting with your organization to ensure the experience you create can be personalized for their needs. Journey maps outline customer movements through touchpoints. For new customer journeys (start-ups, expansions, new channels), journey maps offer a visual explanation for the expected experiences. For existing customer experiences, journey mapping exercises create a shared understanding within your team and organization of opportunities to enhance or personalize the customer experience. We use a simple, repeatable process to optimize the customer experience, collaborating with your team and your customers to create shared understanding as we work. Step 1: Listen and learnWe’ll interview your team and review available analytics to learn about your customer base. To supplement this information, we can deep-dive into customer interviews, focus groups, satisfaction surveys, social media monitoring, pathway analysis and more. 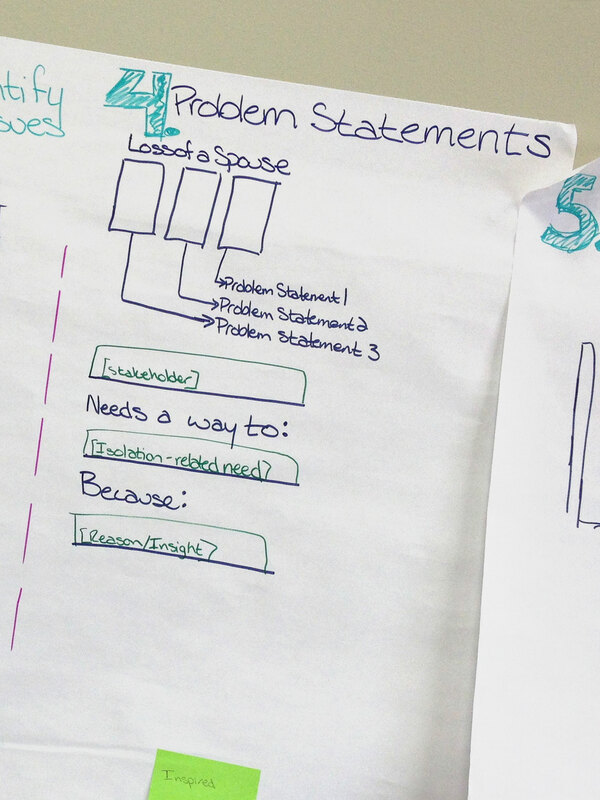 To make sense of the data, we’ll develop empathy maps, customer journey maps, customer personas and more. 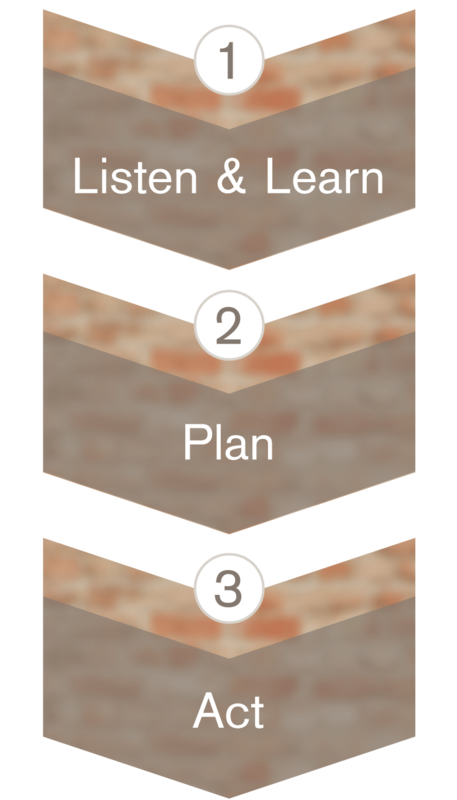 Step 2: PlanBased on what we learn, we’ll either map the ideal journey (for start-ups or new channels) or identify the channels or experiences we want to target for improvement. We’ll plan these customer experience enhancements and determine how we will measure their effectiveness. Step 3: ActFollowing the planning phase, your team will take action. 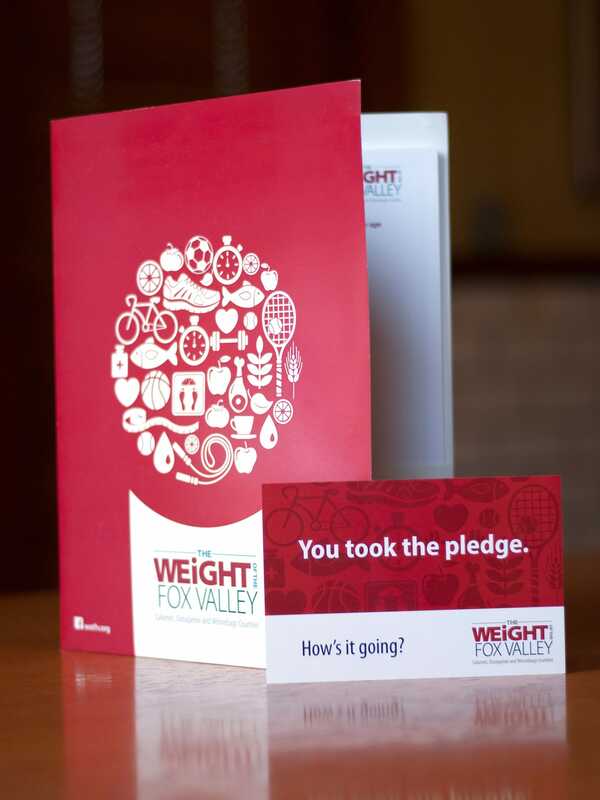 Because this process is iterative, we’ll work with you to determine whether the changes are producing the expected results. (If you guessed that the findings take us back to Step 1, you’re right!) There, we can build on the changes that are working and iterate to improve touchpoints not seeing the expected outcomes. Whether we’re helping a mid-sized university academic department analyze the entire student journey, guiding a public library in developing a 10-year strategic plan, supporting an educational services agency in understanding customer needs or mapping prospective customers’ experiences to improve specific touchpoints, we believe in the power of collaboration. That means we’re with your team throughout the customer experience design process to gain new insights, create personalized experiences and iterate to get results. If you’re ready to amp up your customer experience management, personalize your customer journey and create interactions customers rave about, we want to talk with you! Contact us todayfor a complimentary one-hour needs assessment and consultation!